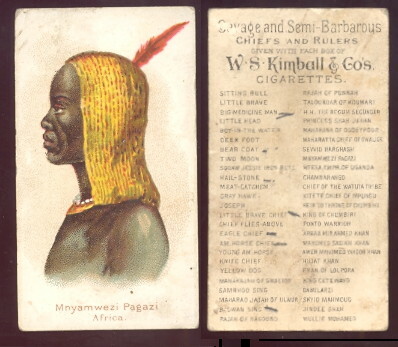 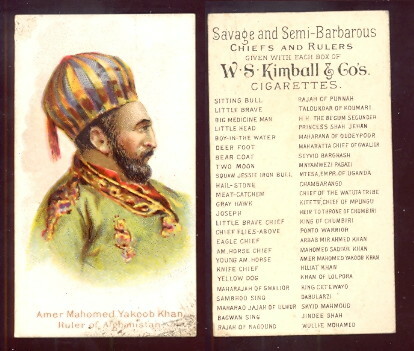 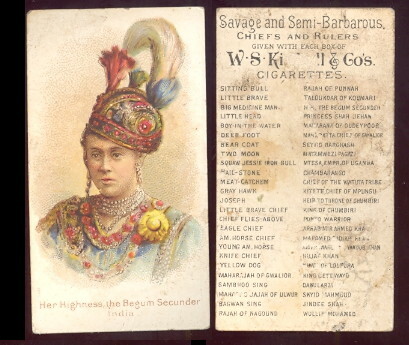 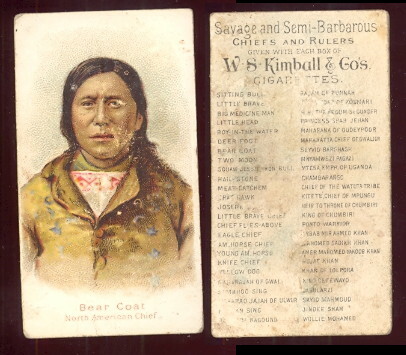 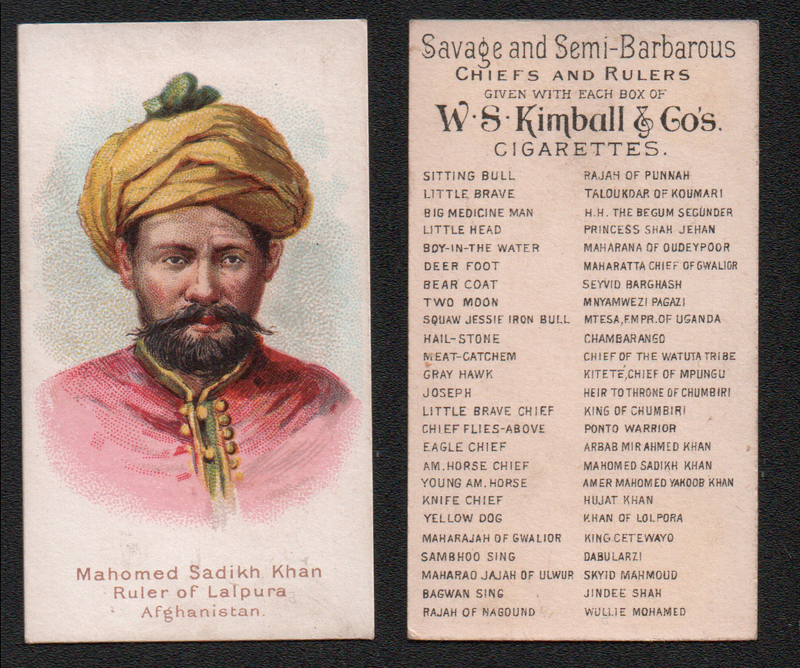 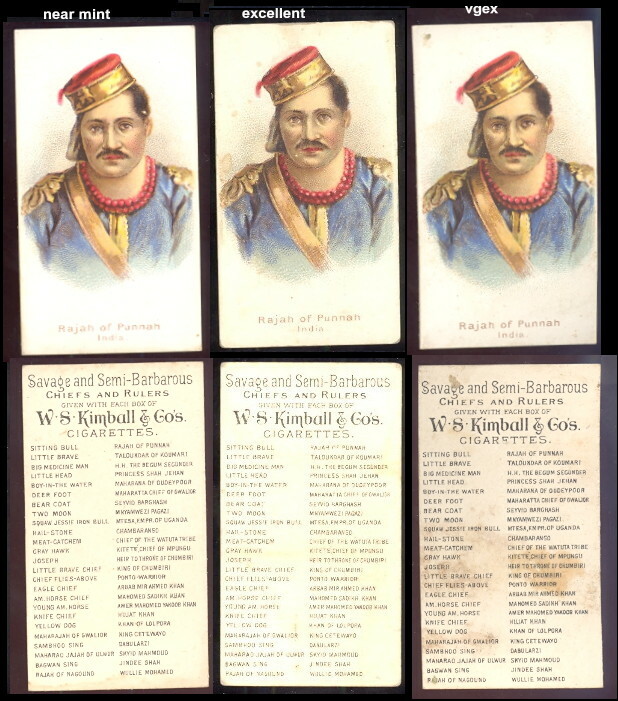 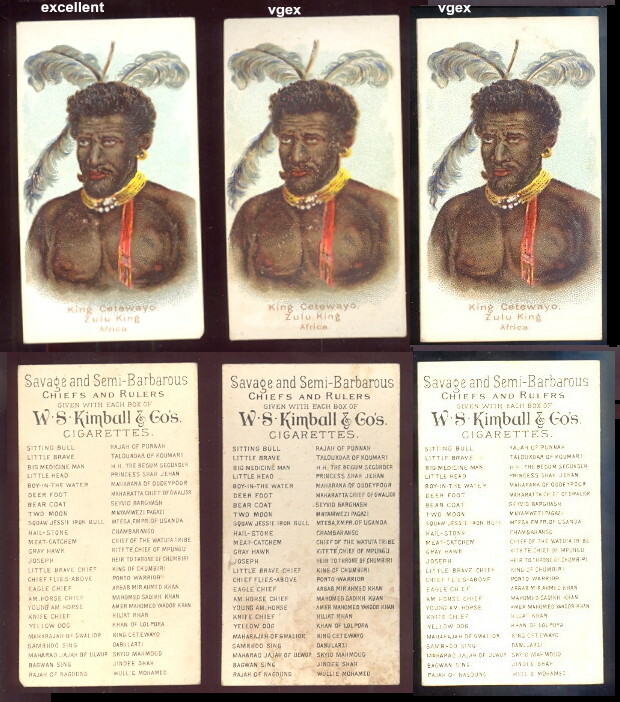 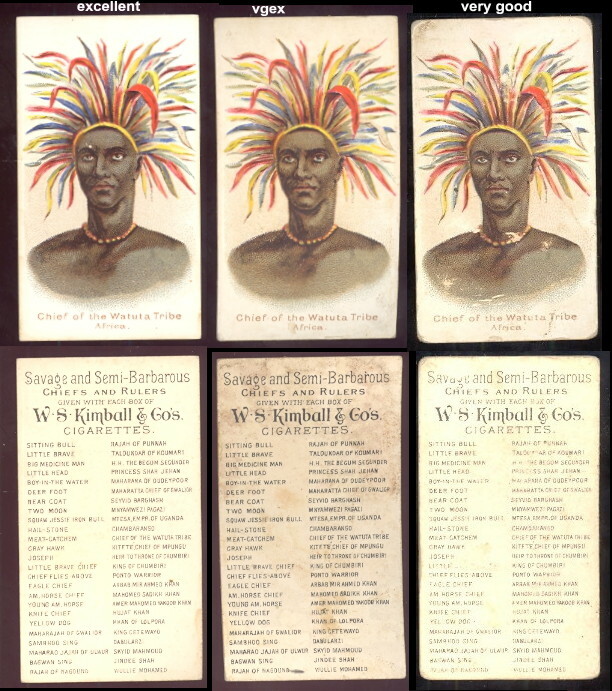 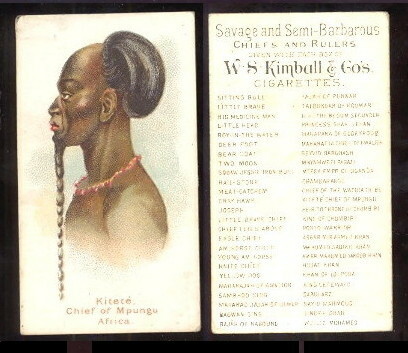 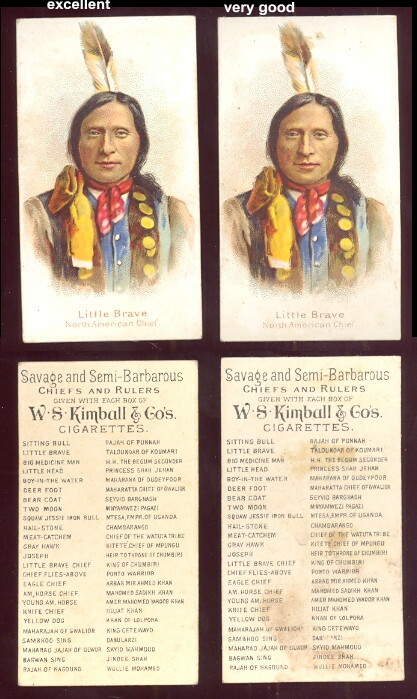 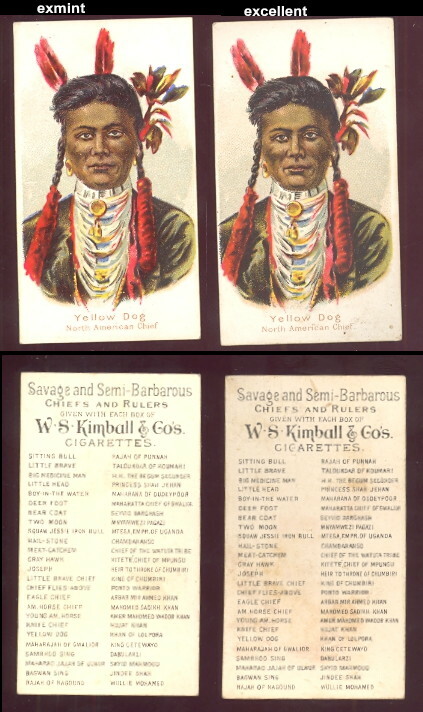 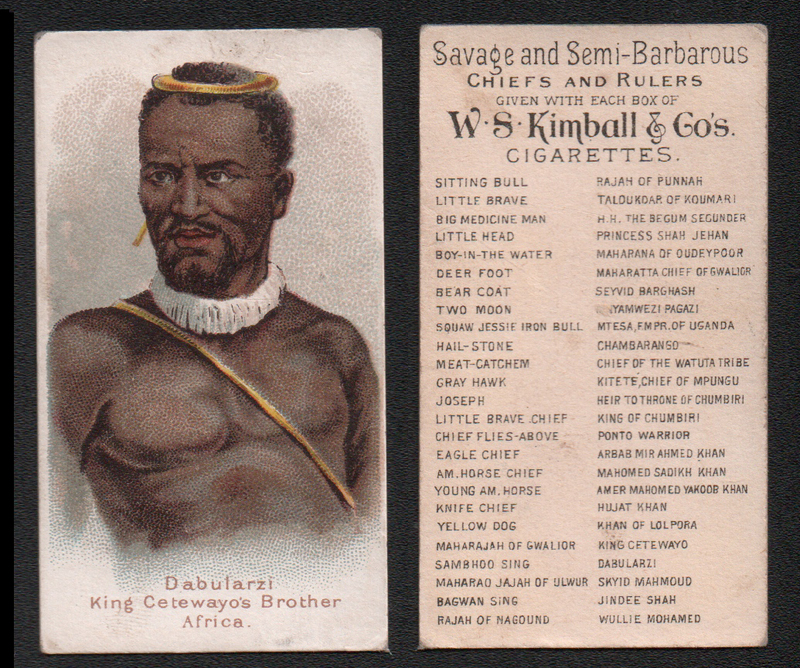 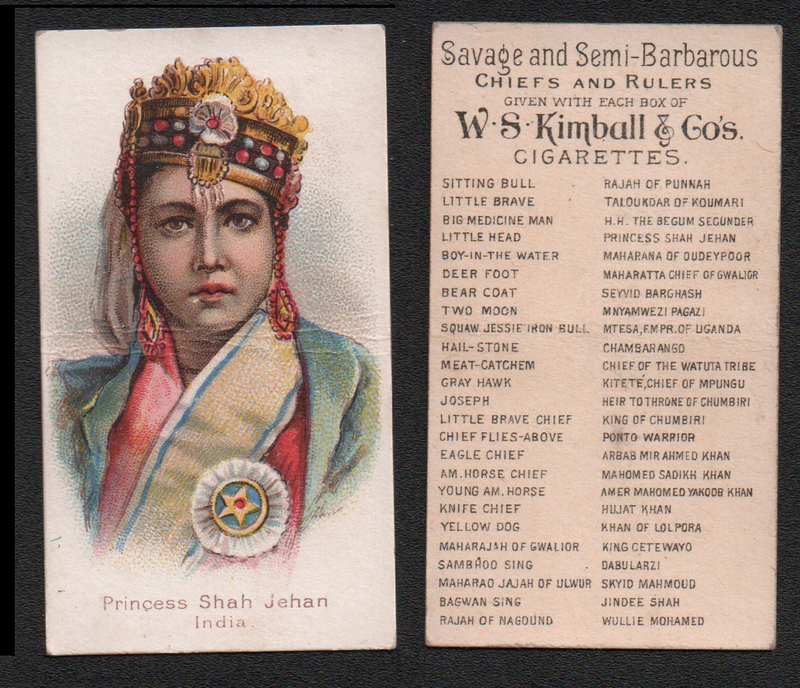 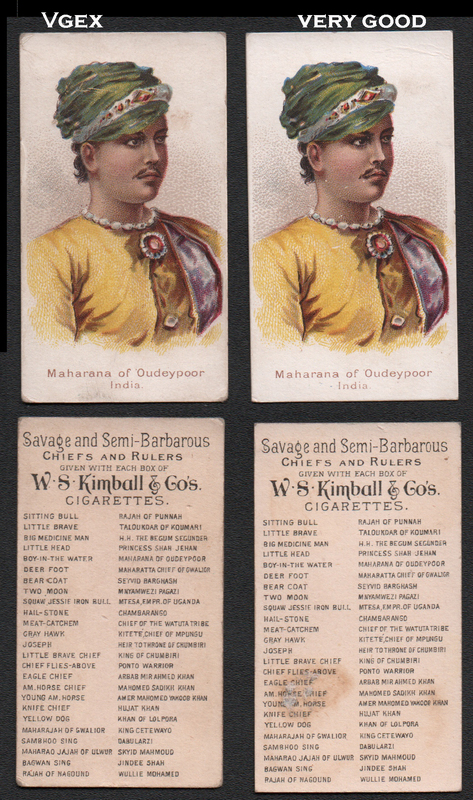 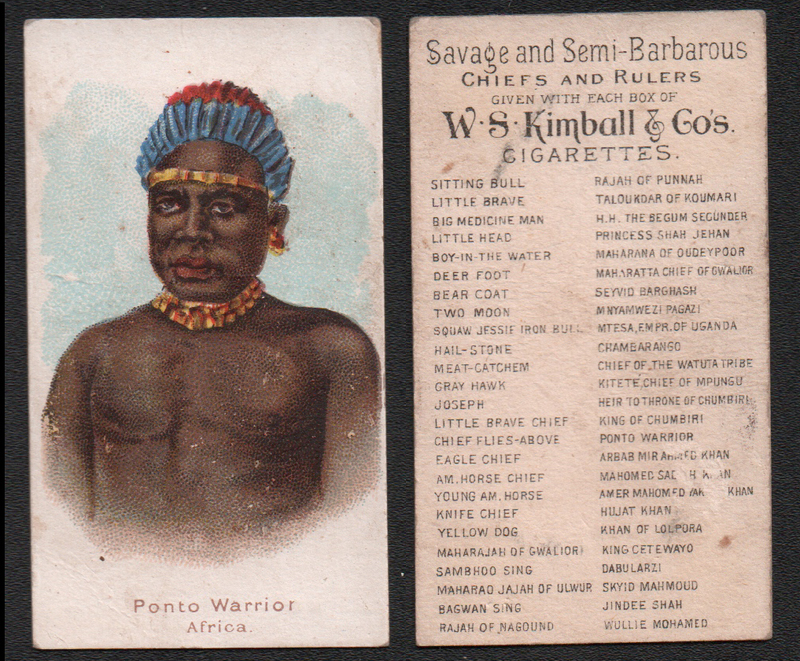 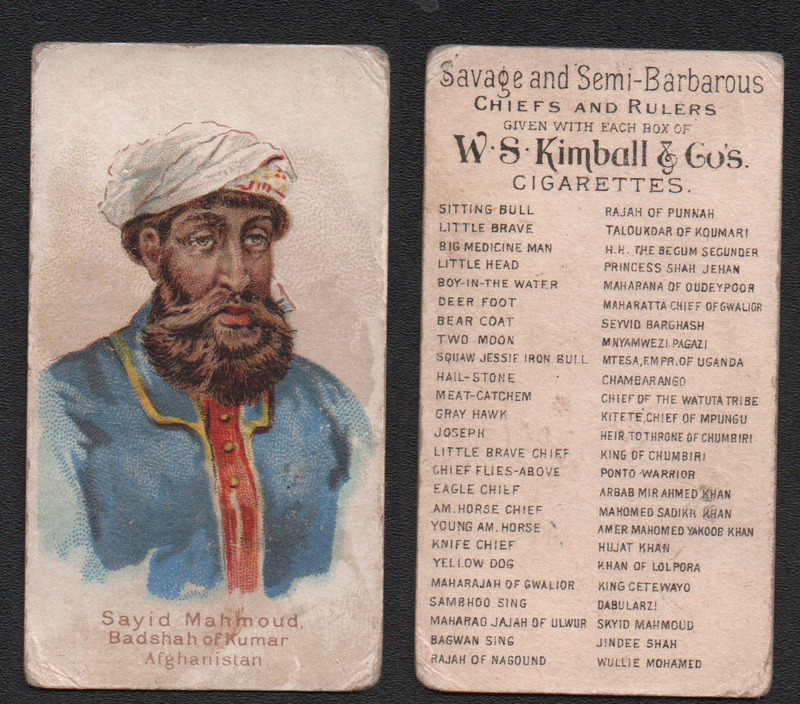 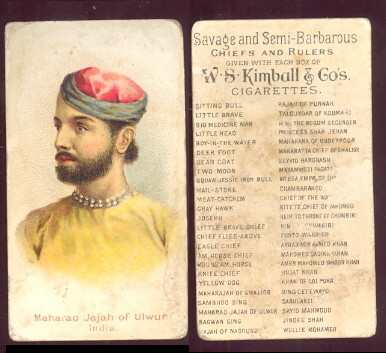 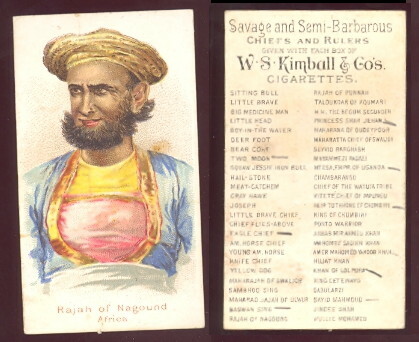 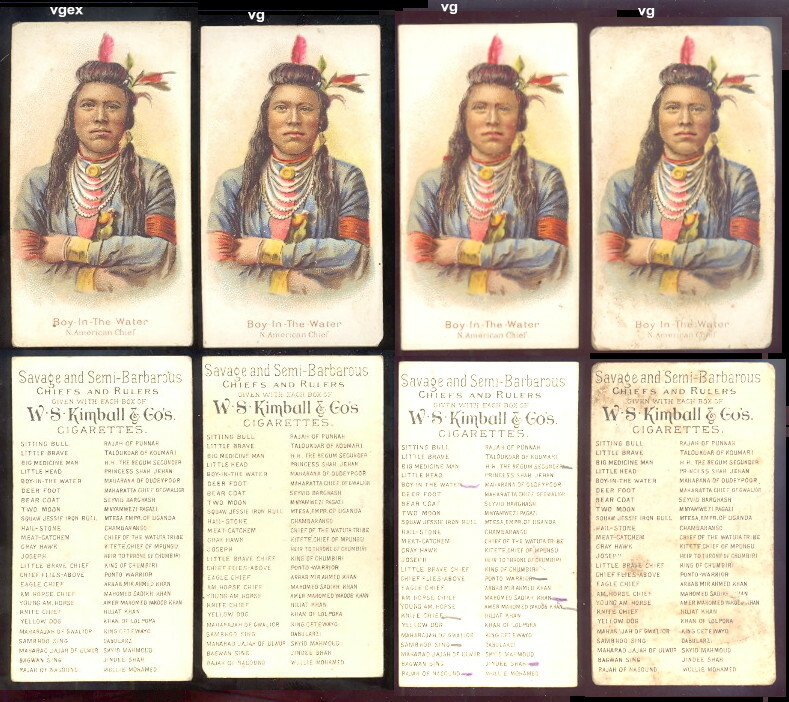 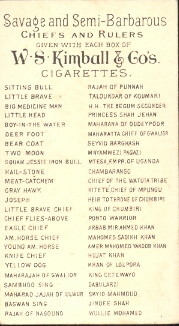 One of Kimballs most popular series, this 50 card set has rulers and chiefs from around the world who were known as war leaders or battle veterans. 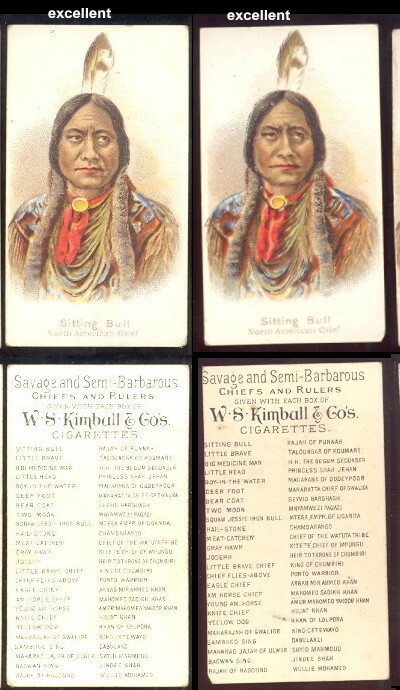 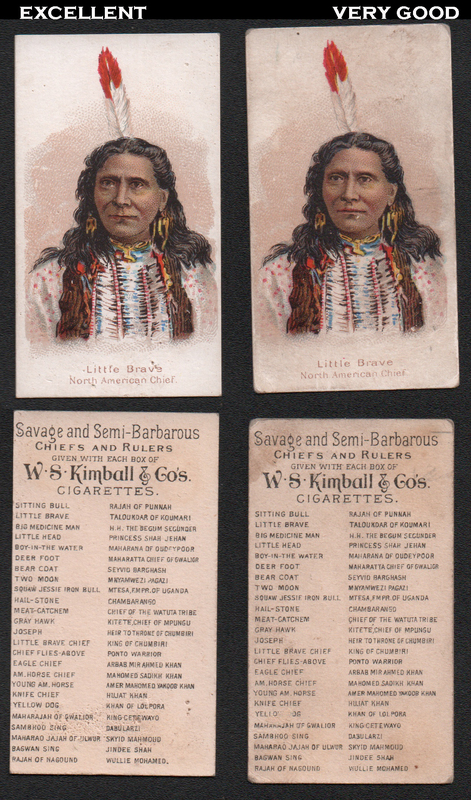 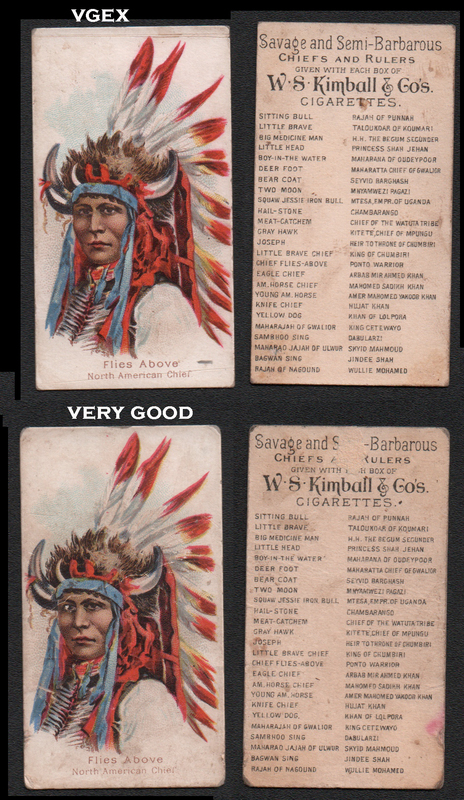 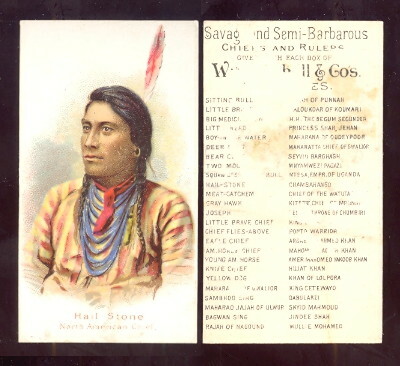 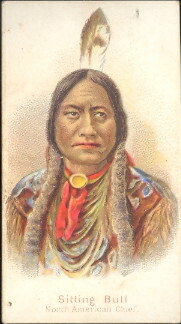 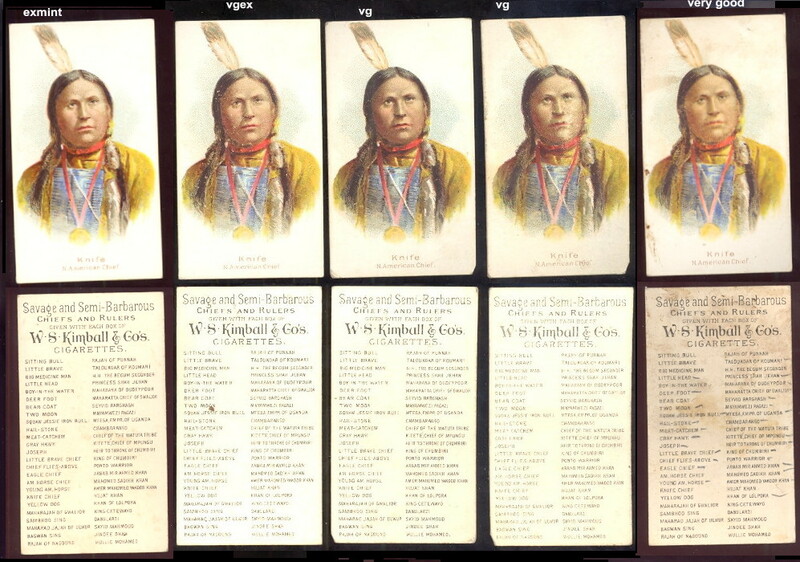 The famous Native Americans such as Sitting Bull command a premium! 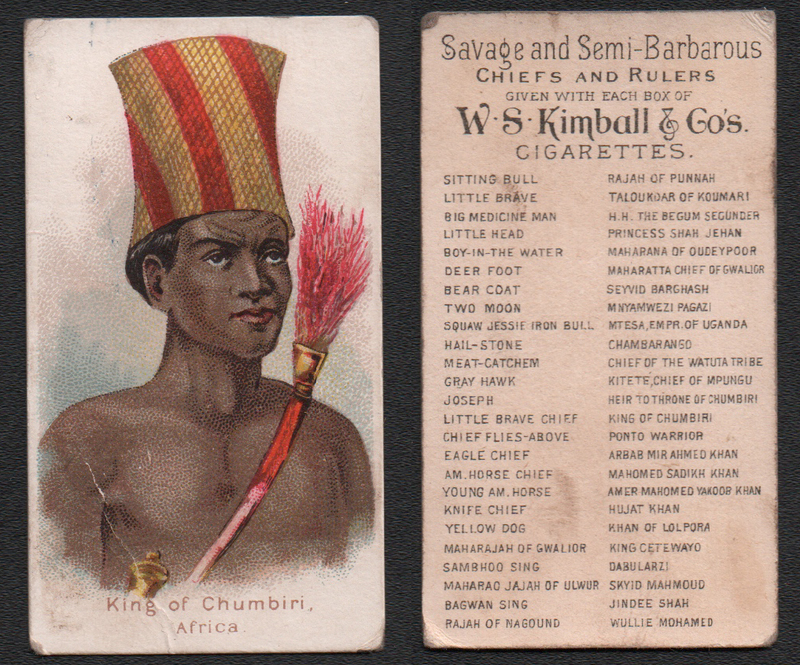 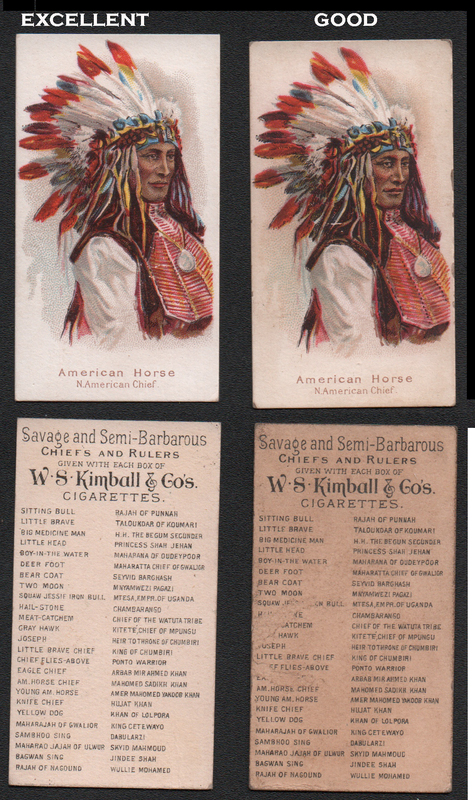 These measure 1-1/2" X 2-11/16", and have a checklist and ad for kimball & co. cigarettes on the back. 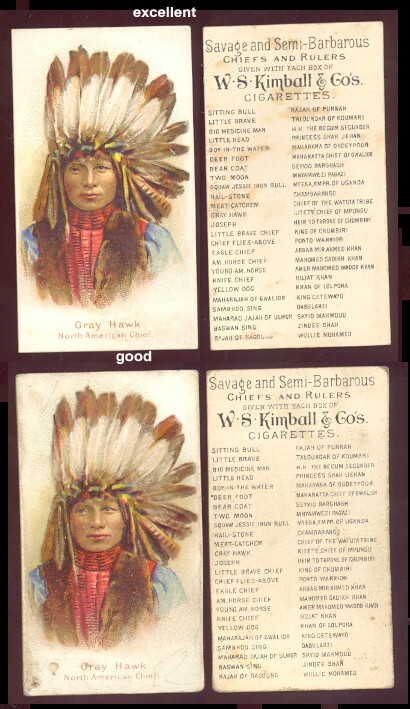 RETURN TO MAIN PAGE SPECIAL NOTE: WE MAY HAVE A COMPLETE SET OF THESE, GIVE US A CALL IF YOU ARE INTERESTED.